My study focused on website localization for online shopping, which has high economic potential in accelerating electronic commerce. I compare Russia, Finland and Germany to study how different cultural features affect the graphical user interface. In my thesis , five cultural models were analyzed in order to find the cultural dimensions that have the biggest influence on the user interface of websites, with outcome of 15 cultural dimensions: those by Hofstede , Hall , Lewis , Trompenaars  and the LESCANT model by Victor . The online shopping websites were next analyzed to find the elements where there might be cultural interpretations, and total of 31 website elements were identified. The WebSCA (WebSite Cultural Adaptation) framework was then formulated as a table combining the cultural dimensions with website elements. The WebSCA framework was then used in an empirical study in Russia, Finland, and Germany to determine the validity of this framework and the cultural assumptions raised by the cultural models. In this article, I focus on perception of colors, as colors appear to have a strong influence on perception of information. Anna Smolina. "Culturally Sensitive Customization of the Coloristic Component in Websites." 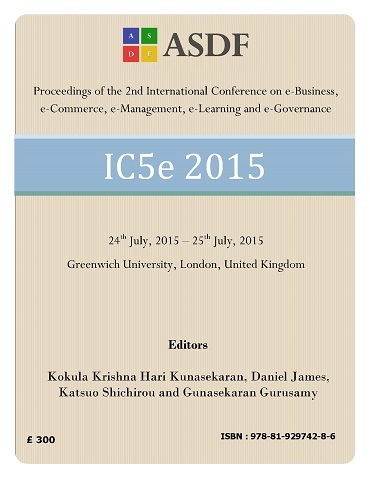 International Conference on eBusiness, eCommerce, eManagement, eLearning and eGovernance (2015): 134-138. Print.